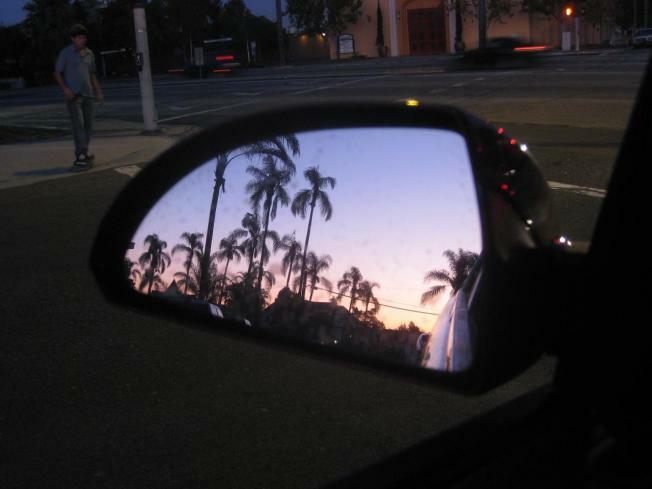 Sunset 8/24/2009 with palm trees and taken in my driver's side mirror while waiting at a red light. While this week's Los Angeles Business Journal covers the revitalization of the Sunset Strip, make sure to brace yourself for quotes like this: “Sunset is going to blow up again,” said Edward Kim, owner of Miyagi’s, an Asian-themed restaurant and bar on the Strip. The article goes on to note all the A-list drawing clubs (SoHo House), hotels (W Hotel & Residences), and restaurants planned for around the strip. Everyone is so damn excited for the Sunset Strip to blow up again, it's hard to tell if the hyping of the area is just that. Nevertheless, here's news about pedestrian improvements -- and let's hope the Ed Hardy set appreciates the new medians. Lee Maen, a partner in Innovative Dining Group, tells the LABJ that West Hollywood "has been proactive" in bringing changes to the Strip. "He’s referring to West Hollywood’s plan to spiff up the street scene. 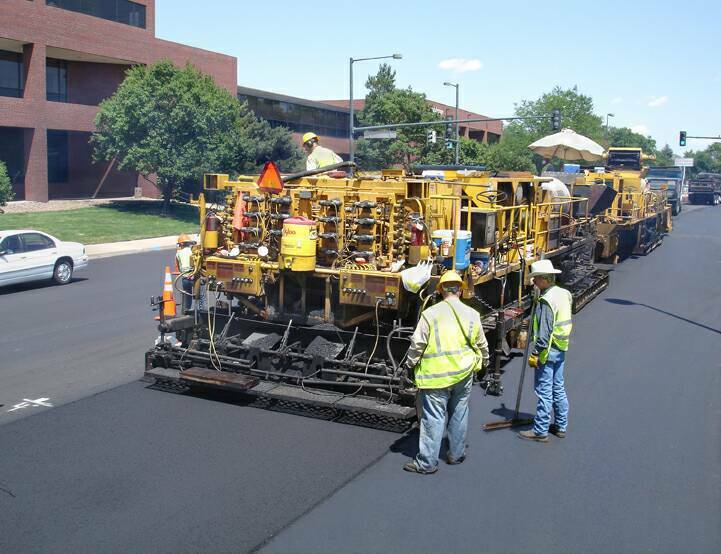 A six-month project that’s about to get under way includes repaving the street, repairing sidewalks, and adding landscapes and medians. The Strip’s facelift is scheduled to begin in January with $5.4 million in city funding and an additional $1.1 million from the federal stimulus package."